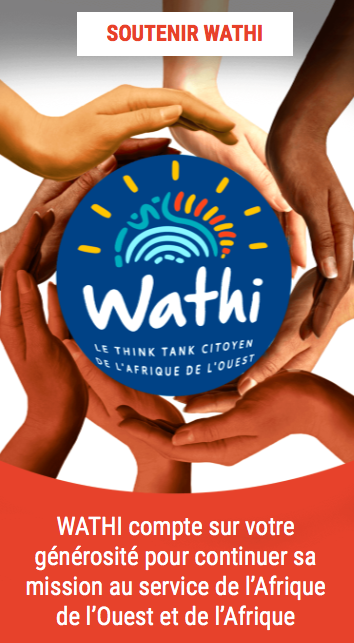 WATHI propose une sélection de documents sur le contexte économique, social et politique au Nigéria Chaque document est présenté sous forme d’extraits qui peuvent faire l’objet de légères modifications. Les notes de bas ou de fin de page ne sont pas reprises dans les versions de WATHI. Nous vous invitons à consulter les documents originaux pour toute citation et tout travail de recherche. While Nigeria is Africa’s largest nation and its biggest economy, in social indicators it often ranks below the Sub-Saharan Africa average. Oil wealth has brought only limited social progress, and with population growth set to continue unabated for many years to come, Nigeria needs to improve social services and labour market access for the young. With a population estimated at over 180 million in 2015 (a fivefold increase since 1950), Nigeria is Africa’s most populous nation and the seventh most populous in the world. Some 44% of the population is under 15 years of age. A high total fertility rate of 5.5 children per woman can be explained among other factors by the cultural attachment to large families in Nigeria. Although Nigeria’s Child Rights Act bans marriage before the age of 18 years, 17% of girls are married before they turn 15, and 43% before their 18th birthday. According to the latest United Nations forecasts, Nigeria is projected to have one of the fastest-growing populations in the world; counting 400 million people by 2050; becoming the third largest country in the world after China and India; and overtaking the United States. This population growth has caused social difficulties: in big cities, many families live in slums, often in a single room, with limited access to sanitation and clean water; healthcare and education are often strained. The government has developed a national blue print for providing family planning services, but cultural barriers, especially in the Muslim north, are difficult to overcome. Despite its oil wealth, Nigeria has a low Human Development Index (HDI) – a UN indicator combining life expectancy, years of schooling and per capita gross national income (GNI). Its 2014 HDI value was 0.514, below the average of 0.518 for countries in Sub-Saharan Africa (SSA), despite GNI per capita exceeding the SSA average by almost 60%. Between 2005 and 2014, Nigeria’s HDI increased by 10%. Poverty is widespread but the data are disputed. On the multidimensional poverty index (MPI), which takes into account household deprivation across three dimensions – education, health and living standards – half of Nigeria’s population was considered poor in 2013. Regarding income poverty, 62% of the population was living below the national poverty line (very close to the international poverty line), according to the latest comprehensive national household survey from 2009/2010. This represents a decrease of only 2% compared to the previous 2003/2004 survey. According to Nigeria’s National Bureau of Statistics (NBS), in the third quarter of 2015, the ratio of unemployed people (based on the NBS definition, including not only those who do not work at all, but also those who work less than 20 hours per week) increased for the fourth consecutive quarter to 9.9% of the total active population – 3 million more than in the first quarter of 2015. Most affected are young people between the ages of 15-24, with around half (49.6%) of them either unemployed or under-employed. The unemployment rate may appear low; in fact, few Nigerians can afford not to work at all; many of them are engaged in informal, low-pay, low-productivity activities, according to the World Bank. Of the jobs created in the third quarter of 2015, 90% were in the informal sector. The problem of youth unemployment is difficult to tackle, with 2 million entering the job market every year. In the current difficult economic context, youth unemployment is an issue of urgent concern, as it fuels criminality and contributes to social unrest. Education in Nigeria is the shared responsibility of the federal, state and local governments. The education sector is divided into three sub- sectors: basic (nine years), senior secondary (three years), and tertiary. Nigeria was unable to fulfil the Millennium Development Goal of securing primary education for all children by 2015. According to Unesco, Nigeria has the highest population of out-of- school children in the world (almost nine million in 2010). In the northern regions, primary school attendance is almost half that in the southern regions and there is a significant gender gap in primary school attendance. In the north, many, particularly poor, children attend informal Islamic (Almajiri) schools, whose curricula are not regulated by public authorities; the children attending such schools live away from their families and are exposed to psychological and economic hardship, making them vulnerable, for example, to recruitment by Boko Haram. 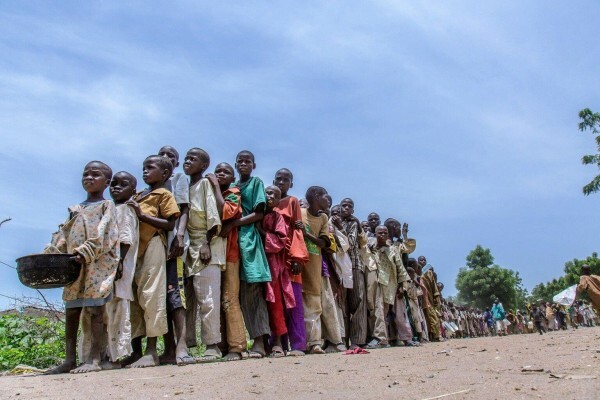 Violence caused by Boko Haram in Nigeria’s north-eastern regions has driven many children out of school; approximately 600 teachers have been killed, while many others fled, profoundly disrupting education. Nigeria’s 128 universities (as of 2013) cannot cope with demand, and each year only around one third of applicants are admitted, based on a centralised exam. At tertiary level, the number of students has grown from under 15 000 in 1970 to 1.2 million in 2013. One in ten child dies before the age of five, making Nigeria one of the countries with the highest mortality rates of children under five in the world. Nigeria provides healthcare coverage to only 3% of its population through the National Health Insurance Scheme (NHIS) enacted in 1999. The scheme mainly covers federal public sector workers and their families, although it is supposed to achieve universal health coverage. Nigeria’s health indicators have either stagnated or worsened during the past decade, despite federal government efforts to improve healthcare. Life expectancy, at 52 years, is below the African average. Repeated oil pollution in the Niger Delta, a major oil extraction region, represents a grave and persistent environmental problem, affecting the livelihoods of local communities. While oil companies consider that most oil spills are caused by oil thefts and sabotage, NGOs claim that poor infrastructure and operational failures, for which oil companies and the government are largely responsible, also play an important role. A UN Environmental Programme report on the state of oil pollution in Ogoniland, one of the most polluted areas in the Niger Delta, found extensive soil and water contamination, posing a serious threat to the local population’s health, and concluded that environmental restoration of the region would take 25 to 30 years. Deforestation and desertification are major environmental problems in Nigeria. The UN Food and Agriculture Organization (FAO) estimates that only 10.6% of the country’s surface remained covered by forests and wooded land in 2015. Due to the expansion of smallholder agriculture, infrastructural and real estate development and the use of wood for cooking, 400 000 hectare of forest disappear annually. Between 1990 and 2015, Nigeria had the second highest rate of forest loss in the world: with forest area shrinking by 60%. Le Nigeria est devenu le pays avec le plus grand nombre de personnes vivant dans l’extrême pauvreté, avance le rapport de World Poverty Clock. Le document estime à près de 87 millions le nombre de personnes en situation d’extrême pauvreté dans la première puissance démographique d’Afrique qui passe ainsi devant l’Inde. Triste classement pour le Nigeria. Première puissance démographique, mais aussi économique du Continent, le pays enregistre pourtant un des taux les plus importants des disparités sociales au monde. En effet, d’après le nouveau rapport de World Poverty Clock (WPC), ce vaste pays ouest-africain est devenu dans le monde, le pays ayant le plus grand nombre de personnes vivant dans l’extrême pauvreté. A la fin du mois de mai 2018, avec 86,9 millions de personnes en situation d’extrême pauvreté, le Nigeria est passé devant l’Inde qui en compte 73 millions. Le rapport de WPC indique que la situation d’extrême pauvreté s’aggrave constamment dans le pays avec une augmentation de 6 personnes par minute contrairement en Inde où ce nombre est plutôt en baisse. Sur le plan continental, le Nigeria est suivi par la République démocratique du Congo (RD Congo) qui compte 60,9 millions de personnes en situation d’extrême pauvreté. L’Ethiopie arrive en troisième position avec 23,9 millions de personnes, suivie de la Tanzanie avec 19,9 millions de personnes. Le Mozambique et le Kenya pointent respectivement en cinquième et sixième places, avec 17,8 millions et 14,7 millions de personnes. Devant ce constat, les analystes de WPC n’hésitent par à exprimer leurs inquiétudes quant à l’atteinte des Objectifs de développement durable (ODD) sur le continent africain. Le rapport indique que l’Afrique pourrait accueillir 3,2 millions de personnes supplémentaires vivant dans l’extrême pauvreté d’ici la fin de l’année 2018 et que la RD Congo pourrait bientôt dépasser l’Inde dans ce classement. Ainsi, souligne le document, même si la population du Continent pourrait augmenter, les ODD pourraient ne pas être atteints en 2030. WPC avance que sur la liste des 10 premiers pays avec le plus grand nombre de personnes vivant dans une extrême pauvreté, seule l’Ethiopie pourrait espérer renverser la situation. Le rapport révèle également que le Ghana et la Mauritanie sont aussi sur la bonne voie pour mettre fin à l’extrême pauvreté. Emita Dida, a widowed mother of six, has been living in “Monkey Village” for more than a decade. She is one of thousands of Nigerians to be calling this informal settlement in Lagos’ Ikeja neighbourhood home, sheltering in small shacks jammed together and constructed of rusted zinc. “Life is difficult,” says Dida, who runs a street-food stall. After the death of her husband, Dida has been been finding hard to sustain her children on a meagre income. Unable to pay for their school fees, she relies on support from aid organisations to cover the cost of education. “The little money I make is never enough,” she says. “I have to feed my family from the food I sell, I can’t afford to buy them other food.” Dida is among the millions of Nigerians struggling to make a living in the country’s commercial capital – and beyond. According to a report in June by the Brookings Institution, a Washington, DC-based think-tank, Nigeria has overtaken India as the world’s poverty capital. The study estimated that 87 million people in a country of nearly 200 million were living in extreme poverty, compared with 73 million people in India. The report also projected an increase in extreme poverty in Nigeria – Africa’s leading oil producer and most populous nation – until at least 2022. A crash in oil prices in 2014 hit Nigeria hard, sparking a financial and currency crisis and plunging the country’s economy into recession two years later – the first in a quarter of a century. Nigeria is now slowly exiting the downturn but growth remains sluggish, at about two percent, and inflation stubbornly high, an estimated 16.2 percent in 2017. The unemployment rate, meanwhile, has soared in recent years, while the gap between the rich and the poor continues to widen. “There is a high level of unemployment and less engagement of the people [in the job market],” says Saibu. “And when people are not engaged, they earn so little which in turn makes them fall below the poverty line,” he adds. According to a 2018 African Development Bank report, “nearly 80 percent of Nigeria’s 190 million people live on less than $2 a day”. The race will see a record 79 candidates vying for the country’s top seat, with incumbent Muhammadu Buhari, former Vice President Atiku Abubakar and ex-World Bank Vice President Oby Ezekwesili seen as the main contenders. “The most germane issue is the capacity of any candidate to ameliorate the economic situation,” says Uche Ezechukwu, a Nigerian political analyst. Another major concern for voters is corruption, an issue that has long plagued Nigeria due to public officials feasting on funds generated from crude oil exports. Last year, Nigeria ranked 148th out of 180 countries on Transparency International’s corruption index. The country produces more than two million oil barrels per day and holds one of the world’s largest gas reserves, but can barely produce electricity to power many of its households and factories. The shortage is also pushing the price of goods up, as they are mostly produced by manufacturing firms running on costly diesel-powered generators. “My salary is never enough for me,” says Esan Monday, a 25 year-old who has lived in the “Monkey village” slum for 22 years. He has no formal education and currently works in a bakery. “I work so hard and am paid very little money, which I try to save up a bit to be able to buy some personal belongings,” Monday told Al Jazeera. In this chapter, an overview of the general socio-economic situation in Nigeria is presented and where applicable, regional differences are highlighted. In particular, the situation in the cities of Abuja and Lagos is discussed where information is available. A main emphasis, where information is available, is on the socio-economic situation of women, Internally Displaced Persons (IDPs) and returnees. Nigeria has an estimated population of 193 million people, about 47 % of the population in West Africa. It ‘is a multi-ethnic and culturally diverse country.’ There is an estimated ratio of 102.7 males per 100 females and the population growth rate in 2016 was of 2.6 %. The fertility rate is 5.7 live births per woman, and infant mortality data shows a decrease, at 76.3 per 1 000 live births. Life expectancy at birth is 52.6 years for females and 51.2 years for males. Education-wise, the enrolment ratio at primary school is 92.8 out of 100 females and 94.5 out of 100 males. The number drops significantly when looking at secondary education – 53.5/100 (females) and 57.8/100 (males), and even more at the tertiary level – 8.3/100 (females) and 11.8/100 (males). The overall school enrolment in the southern regions amounts to 70 %, against 30 % in the north. According to the World Bank, the country’s Gross Domestic Product (GDP) was USD 1 968.6 per capita in 2017. BTI 2018 data revealed that in the evaluation period (February 2015 – January 2017) almost 80 % of the more than 175 million Nigerians lived with less than 2 USD per day. The country’s ‘overdependence […] on petroleum as a source of income’ triggered the 2015-2016 economic crisis, due to two main factors: a sharp decrease in international oil price (-60 %), and a decrease of the internal oil production (consequence of the activities by militant groups in the Niger Delta). In 2016, the national currency Naira devalued to 50 %. A source blames ‘long years of military rule, failure to diversify the economy from crude oil and endemic corruption’ for the state of the Nigerian economy. After several years of decline, Nigeria’s ‘Doing Business 2018’ ranking by the World Bank – that measures the ‘ease of doing business’ in 190 countries has shown improvement, rising from place 169 in 2016 to 145 in 2017. With a workforce of 85.08 million in Q3 2017, 77.55 million Nigerians have some sort of economic activity for at least one hour a week. According to the Nigerian NBS, here is how the country’s workforce is distributed: Number of workers Time per week 8.46 million 1-19 hours 18.02 million 20-39 hours. Together with population growth, unemployment among young population is seen as a consequence of a ‘deficient school’ system that fails to provide the necessary skills for employability, even more visible in the rural environment, where the schooling (facilities, teachers, …) is even more precarious than in urban settings. The Boko Haram insurgency in North East Nigeria, combined with weak governance and climate change has displaced between 1.7 and 1.9 million individuals, currently settled in camps or camp- like settings, or living in host communities. As a result, unemployment rose alongside poverty, in an already vulnerable population. In both camps and host communities, there are ‘income generating activities’ for IDPs, livestock and access to cultivation land. In camps, IDPs resort mainly to petty trade (29 %), daily labour (28 %), farming (23 %) and collecting firewood (15 %), whereas in host communities, IDPs dedicate themselves especially to farming (57 %), followed by petty trade (17 %) and daily labour (14 %). Studies on employment and livelihoods for IDPs living in the urban setting of Maiduguri and Borno State show numerous challenges to earning a living and getting employment stability for displaced individuals. 3) the absence of infrastructure (roads, water, transport, health facilities). The International extreme poverty line, set by the World Bank in the late 1990s at one dollar a day in purchasing power parities based on an average of national poverty lines in low income countries, was in 2015 last revised to USD 1.90 per day. People living in extreme poverty are unable to meet their daily, minimal survival needs. According to a research article on the informal sector and employment, ‘unemployment has been the problem that is beleaguering Nigeria […] unemployment is a phenomenon of Nigeria, which has degenerated the living condition of the masses.’ However, it has to be taken into consideration that Nigeria has an extremely high number of people being employed in the informal sector, thus, although officially registered as unemployed these people do work to some extent. ‘Income inequality is one of Nigeria’s most serious but least talked about challenges […] It is this disparity between rich and poor, more than poverty itself, that generates anti-government sentiment and could fuel civil unrest down the road’, according to a formerly leading US expert on Nigeria’s economy. The Commitment to Reducing Inequality Index is ‘a new global ranking of governments based on what they are doing to tackle the gap between rich and poor’, initiated by the NGO Oxfam, which accesses countries concerning their reduction in inequality. Food security, as defined during the World Food Summit in 1996, ‘exists when all people, at all times, have physical and economic access to sufficient, safe and nutritious food that meets their dietary needs and food preferences for an active and healthy life.’ From this definition, four components of food security can be identified: availability, access, utilisation, and stability of food over time. In Nigeria, agriculture is the major occupation and employs a large part of the active work force. Nevertheless, food security in Nigeria is lacking for large parts of the rural and urban population, according to a study on the challenges of food security in Nigeria (2017). ‘Though Nigeria prides itself as the giant of Africa with its economy becoming the largest in 2014, the poverty rate in the country is alarming. Not less than 70 % of the Nigerian population is surviving on less than a dollar per day while food insecurity prevalence in the low income urban households and rural areas respectively stands at 79 % and 71 %. […] In the rural Nigeria, inadequate post-harvest technology and poor distribution of food have combined with poverty to form an almost insurmountable challenge and especially with unpredictable variations in weather conditions.’ Causes of the food security in Nigeria are multifaceted, according to this study: insufficient food production, gender inequality, inefficient policies and corruption, conflicts and civil insecurity, and low technology for processing and storage. The rapid growth of the urban population outpaces the necessary infrastructure, public services and employment. This results in urban slums, poverty, traffic congestion, housing shortage, inadequate governmental services, growing social and economic inequalities, street violence and crime. Health and sanitation problems arise from this rapid urbanisation due to a lack of electricity, sewage, potable drink water, and adequate housing. Moreover, as the World Bank report notes, ‘In Lagos […] the gaps in living conditions between informal settlements and formal developments are stark’ and the socio-economic gaps within the city’s districts are deepening. Many urban dwellers do not have access to potable water, because of lack of maintenance, underinvestment, lack of governmental subsidies to ensure access to water by the poor. In Ibadan, only 3 % of the residents have access to piped water, and in Lagos only 9 %. The most common source of potable water is coming from tube-wells or boreholes, used by 44 % of the urban residents. However, in Lagos, street vendors are the most important source of drinking water.